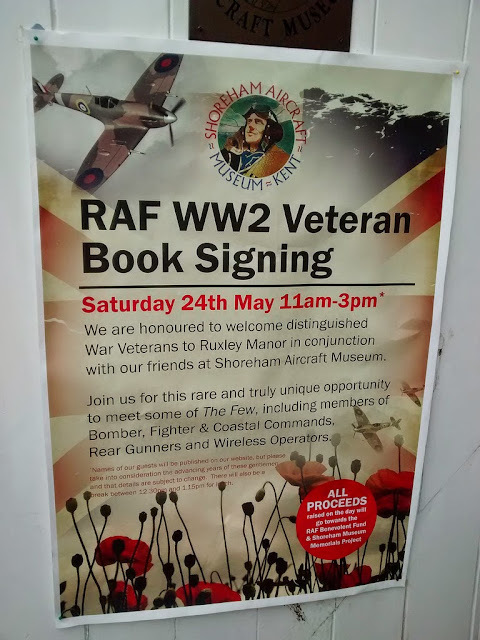 Over at Ruxley Manor Garden Centre in Sidcup today they're commemorating all things World War II, with a Spitfire flypast at 11am, and a chance to meet distinguished war veterans from Bomber, Fighter and Coastal Commands, as part of events to recognise the 50th Anniversary of Ruxley Manor. The Garden Centre started trading in April 1964, part of a company originally founded in 1876 by Henry Evans as H. Evans & Sons Ltd, which acquired Ruxley Manor Farm in 1960. Today's events are being held in conjunction with The Shoreham Aircraft Museum, based in Shoreham, Kent.